The program itself is extremely small in size, but it is able to effectively lock and hide files you feed it behind a master password. It can deal with multiple files or entire directories. 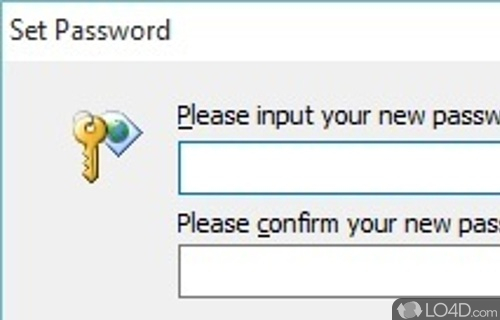 You can set a password in the properties box. Once you add files to the program, you can select which features will be enabled like accessible, writable, deletable or visible. The way Easy File Locker works is similar to the way a file manager would. It gives you full access if you enter the correct password, thereby allowing you control of the data it is hiding. Easy File Locker is practical and lightweight and is an efficient way at protecting files and folders containing sensitive information. Uninstalling the program also requires a password, so don't lose it! Overall, Easy File Locker is a good program which offers some security. 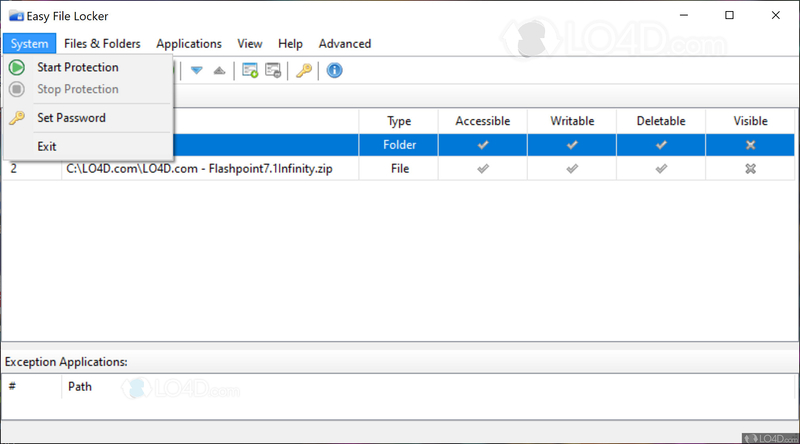 Easy File Locker is licensed as freeware for the Windows (32-bit and 64-bit) operating system / platform from file and folder protection software without restrictions. 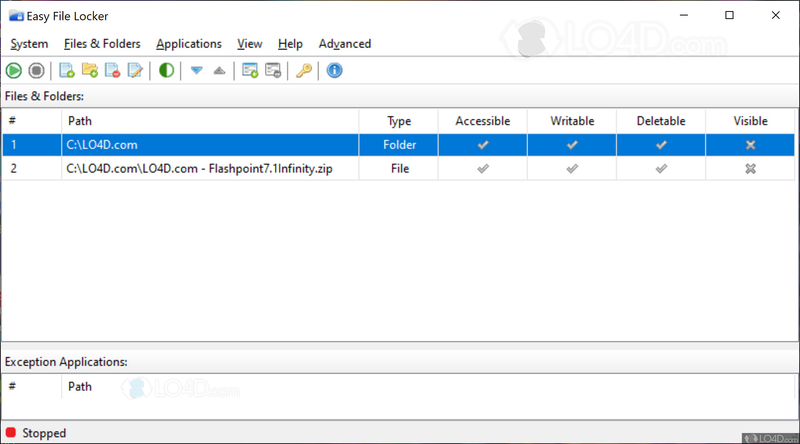 Easy File Locker 2.2 is available to all software users as a free download (Freeware). Compatibility with this file locker software may vary, but will generally run fine under Microsoft Windows 10, 8, 8.1, 7, Vista and XP on either a 32-bit or 64-bit setup. 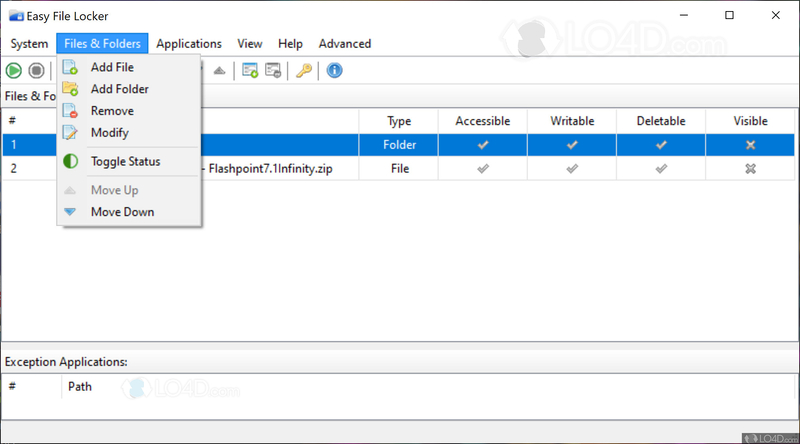 A separate x64 version of Easy File Locker may be available from XOSLAB. This download is distributed as EFL2.2_Setup.exe and EFL2.2_Setup(x64).exe. We have tested Easy File Locker 2.2 against malware with several different programs. We certify that this program is clean of viruses, malware and trojans.